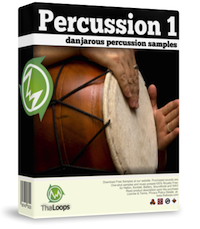 Danjarous Percussion 1 sound-set: Create your own Hip Hop percussion rhythmz! 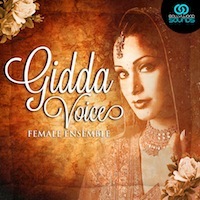 This package contains over 435 ethnic percussion samples. Including such instruments as Djembe, Congas, Tambourines, Bongoz, Pandeiro, Qarqaba and more! 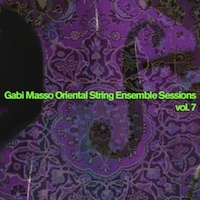 Each instrument is multi-sampled and is programmed into the preset. All percussion samples are placed across the keyboard keys. It is easy to perform realistic percussion rhythmz just simply playing samples on a keyboard. 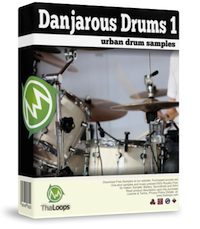 Danjarous Percussion collection includes 17 multi-format presets for creating real ethnic hiphop beats! All major software samplers are supported. The Following End User License Agreement is included with Danjarous Percussion. This License is only valid for the individual who has purchased an unopened, new and lawfully made copy of Danjarous Percussion from a dealer or distributor authorized by Big Fish Audio. "PLEASE READ BEFORE USING. 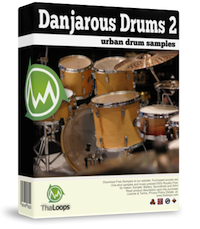 The sound libraries (digital audio products) offered by Thaloops are royalty free. The purchased sound library (digital audio product) is licensed, not sold to you by Thaloops. Thaloops is the owner of the sounds of purchased digital audio products. By purchasing Thaloops sounds you are granted a license to use the sounds within audio productions. The payment you make to download Thaloops digital audio products gives you the non-exclusive right to incorporate these sounds in audiovisual production, website, video game, or other media production, without paying any additional royalties, license fees, or any other fees to Thaloops or third parties. You may not resale, re-license, copy, rent, upload or distribute in any way the sounds licensed to you by Thaloops to another user. You may not distribute the sounds in native format or in any format which could be construed as competitive. This license forbids resale, relicensing or other distribution of these sounds, either as they exist, or any modification thereof. You cannot sell, loan, rent, lease, assign or transfer all or any of the enclosed sounds into the digital audio product to another user, or for use in any competitive product. All rights of the producer and the owner of the work are reserved. Unauthorised duplication of this download is a violation of applicable laws."